Delayed sleep phase syndrome is the most common sleep syndrome in which a person goes to bed later than the normal sleeping hour and also wake up much later than the others. It is also known as the phase lag syndrome. In the group of circadian rhythm sleep disorder, DSPS seems to be very popular. Usually in this syndrome you mostly get sleep around 1 to 4 am and your wake up time goes till 10 to 11 am. It is quite the opposite of the advanced sleep phase syndrome. The main sufferers are people who party into the night and who work late in the night. This happens because they have developed an irregular sleeping rhythm. With constant update in technology and medical researches it has been found that the urge to sleep is enhanced by the release of a hormone in our body which is called melatonin. It also controls our body temperature and when it is released in our body often it tends to decrease the body temperature. When your circadian rhythm pattern gets longer than the release of melatonin and the changes in body temperature does not meet the usual pattern of sleep than most often the release of melatonin gets delayed causing sleeplessness till 1 or 2 am in the morning. 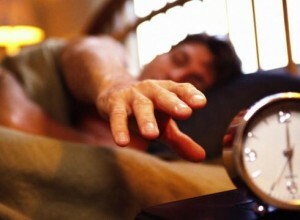 This becomes the main reason behind the cause of delayed sleep phase syndrome. During day time, you may experience tiredness and fatigue which are its normal symptoms. Important thing to note that you don’t suffer from insomnia here; it’s just that your sleeping time gets changed. Firstly, it is very important that you expose yourself to bright sunlight when the sun rises usually between 6am to 9am. You can start with 20 minutes exposure and then subsequently increasing it depending upon its effectiveness on your body. Be cautious that you do not look into the sun directly. Secondly, it is advised that you do not expose yourself to bright light in the evening. This hampers your release of melatonin in the body. Lastly, ensure that you maintain a regular sleep pattern every day irrespective of any holidays or weekends. Light therapy is an effective and efficient way to correct the sleep phase syndrome. Also besides from this therapy you can take some natural medicines and herbs that relax your body. Insist on a good balanced diet before bedtime and see that you avoid taking caffeine, nicotine and stimulants after you had your dinner. These also hamper your sleep rhythm and can cause delayed sleep phase syndrome.